Sauna bathing is known to provide an assortment of health benefits and there are numerous studies that prove that. According to one of them, people who spent some time in a sauna 2-3 days a week experience a decreased risk (about 20%) of fatal health diseases. However, traditional saunas use either wood or electricity to warm the air in the chamber to a temperature of 85 degrees Celsius, which many people find uncomfortable for more than a few minutes. Infrared saunas, on the other hand, do not heat the air around you. Instead of wood or electricity, these saunas use infrared lamps to warm the body directly, via electromagnetic radiation. This may sound a little bit freaky or unsafe, but neonatal beds for newborns also use infrared heating elements to keep babies warm without being stifled. Furthermore, infrared saunas emit rays that are easily absorbed by the body and penetrate deep, causing users to develop a more vigorous sweat at a lower temperature than in traditional saunas. The constant energy produced by the infrared sauna can expand the blood vessels, allowing for smoother blood circulation. With good circulation, blood can run to the capillaries throughout the body and offer the cells sufficient nutrition which in turn speeds up the metabolism and keeps the skin younger and more tender. But the benefits of using an infrared sauna don’t stop here. After working hard, you come home feeling tired in the evening. All you want to do is lie on the sofa because you are too tired to do anything. An infrared sauna bathing can help you get rid of fatigue while enjoying a good time. It can accelerate the function of the sweat glands which can also help remove the toxins from the body, thus improving the environment for the cells and help you maintain vitality. Entering an infrared sauna is also like having a therapy session for relaxation. The heat of the infrared sauna can also help loosen tight muscles, allowing them to relax and can also balance your body’s level of the stress hormone called cortisol, which relieves stress and body tension. All this can help elevate your mood, making infrared sauna bathing a perfect way to end your busy day. 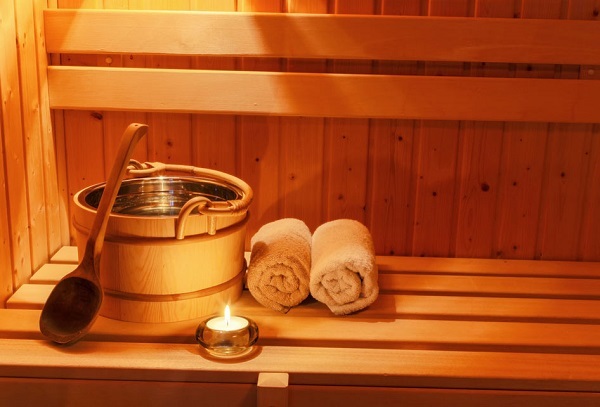 The benefits of infrared saunas sounds pretty great, don’t they? But to be able to enjoy them, you need to pick a good infrared sauna. When it comes to selecting a good sauna, you ought to consider a reputable seller, safety certifications, and more. You should also check different models online and read customers reviews to ensure you get a model that totally suits your needs.